NOBLETON, ON – Barn Door Beverage Co. – a sibling imprint of King Brewery launched earlier this year – has announced the release of two new seasonal lagers for autumn. Rich golden amber in colour, this 6.5% alc. strong lager has a medium mouth feel, mild carbonation and crisp finish. It has a sweet bready malt flavor with hint of caramel which is enhanced by the fruity like alcohol. The Saaz hops add a spicy, herbal flavor and aroma. It all comes together into an interesting and very unique Canadian craft autumn festive beer. Handcrafted and extra-aged in small batches, our festive lager beer is a Halloween treat you can’t pass up! Somewhat similar to a Dopplebock, this “monster” brew will seize control of your senses with its intensely malty aroma, large creamy head, and well-balanced mouth-feel. You’ll be haunted by the Monster’s toasty sweetness and subtle hints of chocolate and fruit. 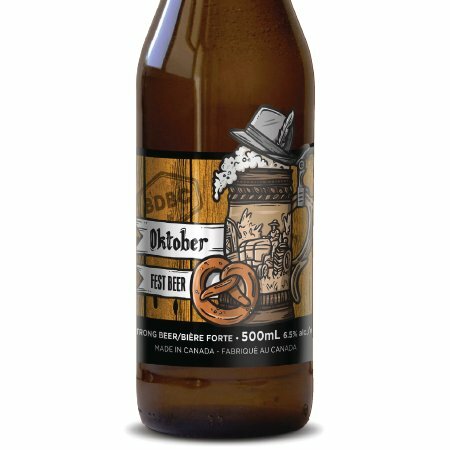 Both beers are available now at the King retail store, and are part of the Hallowe’en & Oktoberfest specialty beer release that will be available soon at select LCBO locations. 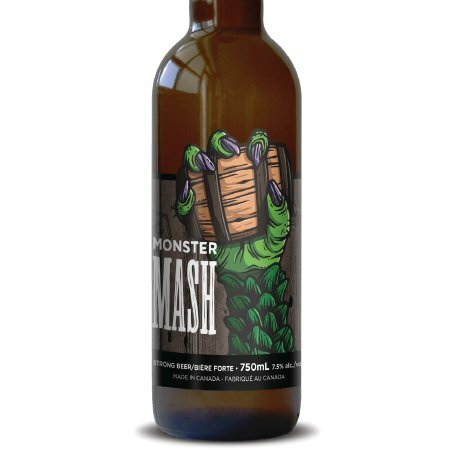 Oktober Fest Beer is selling for $5.95 per 500 ml bottle, and Monster Mash is $8.95 per 750 ml bottle.